A new drug-driving law has come into force after a weekly newspaper’s four-year campaign. 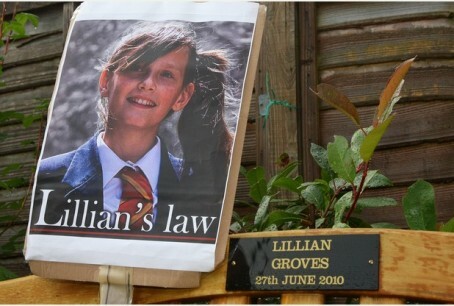 The Croydon Advertiser launched its Lillian’s Law campaign following the death of 14-year-old Lillian Groves in June 2010, who was knocked down outside her home by a speeding driver who had smoked cannabis before getting behind the wheel. Police were unable to prove drugs had influenced John Page’s driving because he only underwent a blood test nine hours after the collision, meaning he escaped with an eight-month sentence. This prompted the campaign in August 2011, coordinated by Lillian’s family with Advertiser reporter Gareth Davies and backed by a 20,000-strong petition supporting the call for a specific drug-driving offence and roadside testing devices. The success of the campaign means that, as of yesterday, it is now illegal to drive with certain illegal and prescribed drugs above a certain limit – removing the need for police to prove the person’s ability to drive was impaired. Police now also have access to roadside detection kits that will show whether a driver has taken drugs. If the test is positive, a further blood test will be administered by a medical professional at a police station. Advertiser editor Glenn Ebrey said: “When this campaign started in 2011, our aim was to press for a change in the law. “To have achieved that is absolutely fantastic and testament to the hard work of everyone involved, most of all Lillian’s family, who have shown admirable persistence, tenacity and downright bloody-mindedness to achieve the legacy their daughter deserves. “Lillian’s family would also be the first to praise Gareth, who has done to so much to bring this legal anomaly to the public’s attention and make it clear why the law needed changing. Great campaign, great result. Well done to all involved.